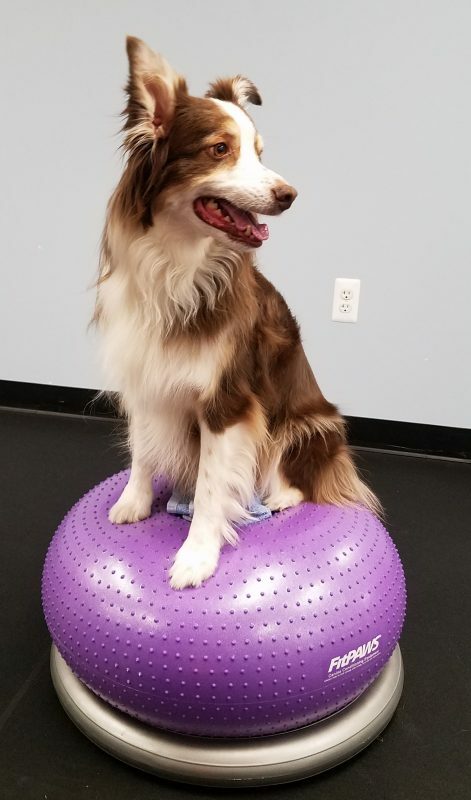 In our office, we use positive training to teach our patients new behaviors with specific form and proper posture. These behaviors are targeted at improving strength, balance, and/or proprioception (body awareness). The pet needs to pay attention to what their body is doing. We use a combination of targeting, luring, shaping, and molding using positive reinforcement.